Materials: Ferro cement, steel epoxy filter and line marking paint. 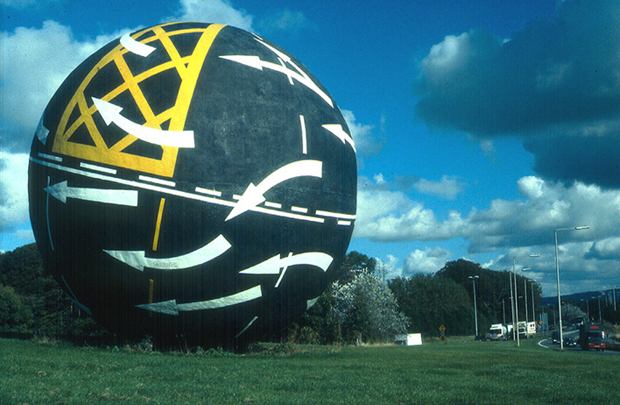 This 9 meter sphere textured and painted with a tarmac like surface depicts various road markings which may suggest movement across a globe. The piece reflects the surroundings of a busy motorway junction, and can be ‘read’ both at speed and from afar.